Jumbo reverse mortgages – also known as proprietary reverse mortgages – are loans designed and offered by financial institutions that enable owners of high-value homes to access greater amounts of their home equity than is available from the government insured HECM reverse mortgages. Unlike the standard HECM reverse mortgage, jumbo reverse mortgage products generally do not require monthly mortgage insurance premiums. What Kinds of Reverse Mortgage Loans Are Currently Available? Currently, the most widely available kind of reverse mortgage available is the Home Equity Conversion Mortgage (HECM) family of loans. These loans are regulated and insured by the federal government and managed by the Department of Housing and Urban Development (HUD). HECM reverse mortgages are available as a fixed rate or variable rate product, and can be accessed as a lump sum, monthly drawdown, or line of credit. The availability of the jumbo reverse mortgage has increased over recent years. 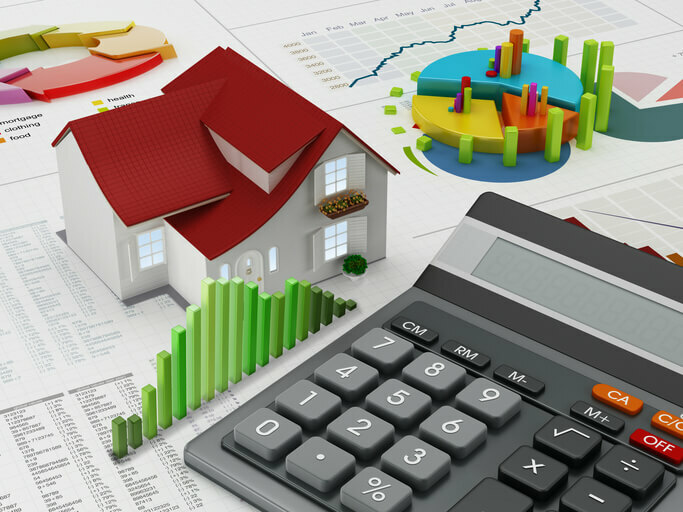 Several lenders offer their own version of the jumbo reverse mortgage product, each with their own guidelines for loan values, costs and underwriting guidelines. While some lenders may not offer these products in every state, with higher home values being the key requirement of this product, many of these lenders also offer jumbo reverse mortgages on higher value condominiums that are not FHA certified for a standard HECM. The HECM product could not offer higher loan amounts because they were legislated with loan limits – they could not lend more than pre-specified amounts. In fact, the HECM product was originally designed specifically for low and medium value properties. In the current market, homeowners with homes valued up to $6 million may be eligible to access their home equity with loan proceeds topping out near $3 million through a jumbo reverse mortgage. Other options for owners of high-value homes seeking access to their home equity include home equity loans, home equity lines of credit, other personal loans secured by the home value, mortgage refinance and downsizing. What Is a Jumbo Reverse Mortgage or Proprietary Reverse Mortgage? Any broker licensed by the Federal Housing Administration (FHA) can offer the HECM and any broker licensed by the private company that structured a proprietary reverse mortgage can offer that product. How Does a Jumbo Reverse Mortgage Differ From Other Reverse Mortgages? A jumbo reverse mortgage is a reverse mortgage product designed for high-value homes – typically homes valued above the $726,525 level although the specifics of the loan will depend on the borrower’s age and location. So, the main difference is simply that it is possible to get more money out of a high value home with a jumbo reverse mortgage than from other reverse mortgage products. Another big difference exists for condominiums. For HECM program eligibility, a condominium must have FHA approval, which can be a lengthy and costly process. Proprietary reverse mortgage loans can be obtained on non-FHA approved high value condominiums. Who Offers a Jumbo Reverse Mortgage? What are the Different Kinds of Jumbo Reverse Mortgages? Jumbo reverse mortgages are loans structured by private firms. Like the HECM programs, they are heavily regulated, but they are proprietary products offered directly by private institutions. More proprietary reverse mortgage programs may be reintroduced as the housing and credit markets stabilize to meet the evolving needs of senior homeowners. We will try to match you to the latest Jumbo Reverse Mortgage lenders. What Are the Downsides of a Jumbo Loan or a HECM Reverse Mortgage With a High Loan Amount? The obvious downside is the same as the upside… with a jumbo loan – or a HECM reverse mortgage with a high loan amount – you are simply borrowing more money. And, if you take out that money in cash then you will be accruing more interest. However, though not available on most proprietary jumbo products, many high-value homeowners choose to take the HECM as a line of credit where you only pay interest on the sum you actually use. And, as with all reverse mortgages, you don’t have interest payments during the term of the loan nor should you owe more than the value of the home at the time the loan is ended. And, so long as you reside in the home, you will always retain ownership. Further good news is the fact that the HECM typically has charged a lower interest rate than the jumbo reverse mortgage products. Are There Limits on How to Spend a Jumbo Reverse Mortgage? Are There Limits on How to Spend HECM Reverse Mortgage Loan Amounts on High-Value Homes? There are absolutely no limits on how you can spend your jumbo reverse mortgage. Nor are there any with a HECM. However, you must pay off any liens against your home, including any balance on your mortgage – which is true of the jumbo products as well. If you have a high mortgage balance, call us at 1-866-759-2559 to see if you can be matched to a proprietary product lender who can review all available options for eliminating monthly mortgage payments and accessing your home equity.